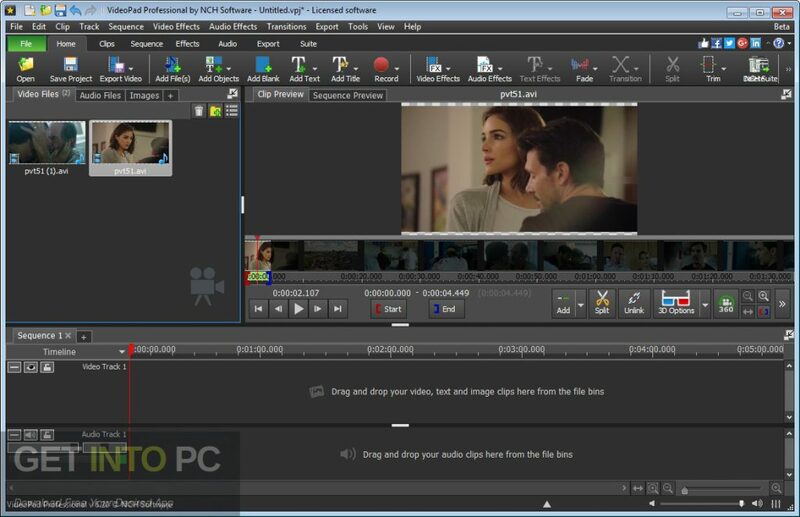 NCH VideoPad Video Editor Professional Free Download. 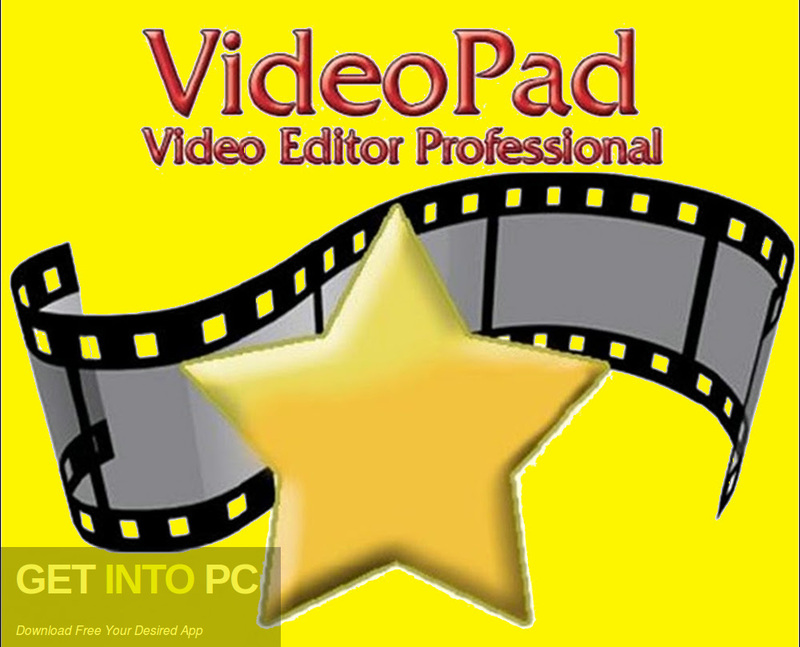 Its full offline installer standalone setup of NCH VideoPad Video Editor Professional. 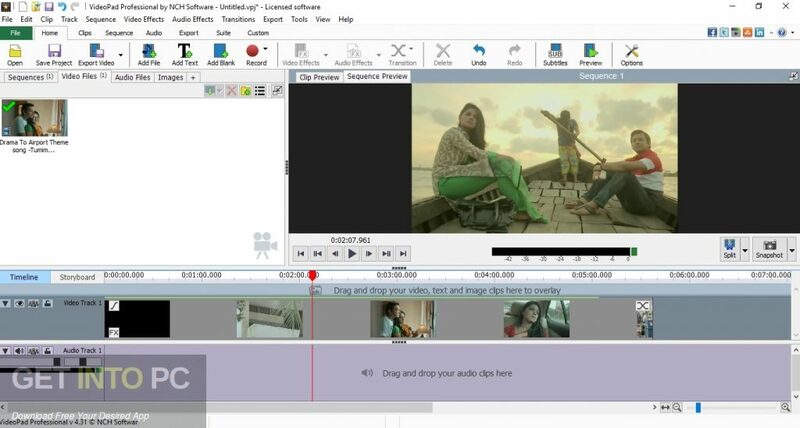 NCH VideoPad Video Editor Professional is an impressive application which will allow you to edit your movies. It allows you to cut various parts of your videos or merge multiple clips into one. It has been equipped with a user friendly interface and it has been divided into several parts which includes Media List, Transitions, Effects, Files, Video Track, Clips, Overlay Track and Audio Track etc. 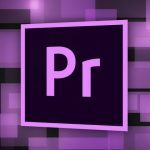 You can also download Adobe Premiere Pro CC 2015 Portable. 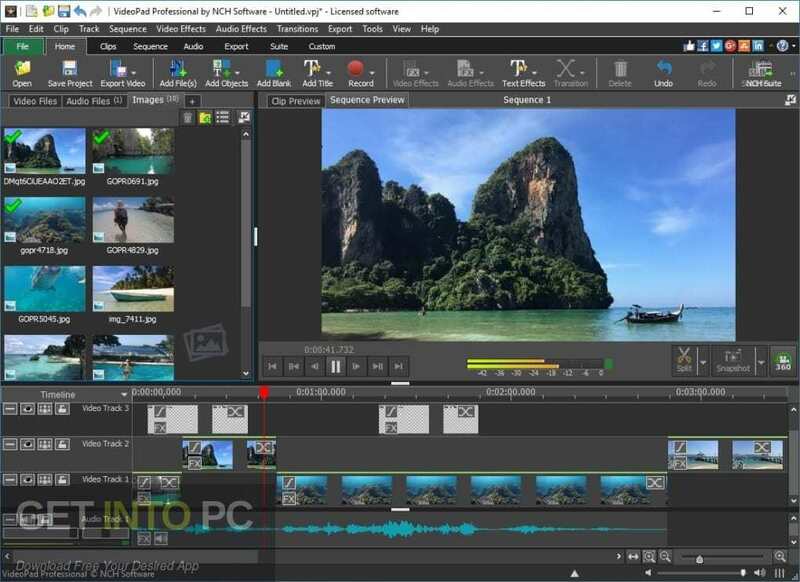 NCH VideoPad Video Editor Professional allows you to select the position for the new clip, modify media in external editor, change playback speed, add blank slides/overlays and stabilize video with the Deshker filter. It allows you to create bookmarks and subtitles, save video in the Stereoscopic 3D output format. You can also apply audio effects and can also record the narration. 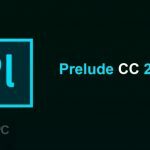 Various different video effects like crop, brightness, edge detection, posterize, reverb and hue can be applied and different transitions like reveal, split,circle and diamond etc can also be applied onto your videos. 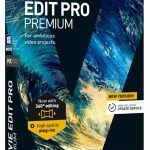 NCH VideoPad Video Editor Professional has got a comprehensive help file as well as video tutorials which will let the users to edit the videos efficiently. You can also download Boris RED 5.6.0 CE. Below are some noticeable features which you’ll experience after NCH VideoPad Video Editor Professional free download. 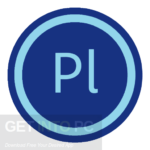 An impressive application which will allow you to edit your movies. 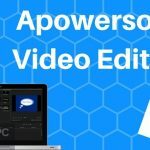 Allows you to cut various parts of your videos or merge multiple clips into one. Equipped with a user friendly interface which is divided into several parts which includes Media List, Transitions, Effects, Files, Video Track, Clips, Overlay Track and Audio Track etc. Allows you to select the position for the new clip, modify media in external editor, change playback speed, add blank slides/overlays and stabilize video with the Deshker filter. Allows you to create bookmarks and subtitles, save video in the Stereoscopic 3D output format. Can also apply audio effects and can also record the narration. Video different video effects and transitions can be applied to your videos. Got comprehensive help file and video tutorials. Before you start NCH VideoPad Video Editor Professional free download, make sure your PC meets minimum system requirements. Click on below button to start NCH VideoPad Video Editor Professional Free Download. This is complete offline installer and standalone setup for NCH VideoPad Video Editor Professional. This would be compatible with both 32 bit and 64 bit windows.